Void is now open to submissions to our second ‘Battle Zine’, to happen on the opening of our new space in Athens, on 02 MAR ‘19. We are looking for photographers who have a completed project and would like to present it in the form of a zine. We are also looking for designers that are interested in a project with no creative restrains. 8 photographers and 8 designers will be chosen to spend a whole day in Void creating a zine from the scratch. In guerrilla style. Low budget, low-fi, low run. Each photographer will work with a designer to create one zine. Void will gather by its own discretion 8 teams, that will have 12 hours to work on it. Starting the project by the morning with a strict budget, participants are expected to deliver the copies they manage to create, 12 hours later. Each team will have absolute creative freedom and will be free to choose the run of copies and the price. D the night of the same day, there will be a party presentation where people will be able to purchase the zines. It is forbidden to bring - Any paper (as it is supposed to be purchased with our astronomical sponsorship money) or pre-developed ideas. The winner of the Battle Zine will be the team that manages to make the biggest profit out of the budget. It doesn’t matter if some decide to create only one copy investing on high quality materials, or they make 100 copies using rough and cheap ones. It’s all about creative decision. As a prize, the winning team will have their zine published by us in a bigger run, to be released in a special presentation at Void. The funding for this publication will be partially supported by the sales of the Battle zines. There will be no losers, as all the rights of the zines created during the ‘Battle Zine’ will belong to its creators, ready to be self-published. Finally, Void can, upon agreement with its creators, decide to publish other zines apart from the winner one. The idea is to make the most out of the small budget and be creative with the least resources, time and money-wise. And, of course, to have fun. Void keeps no right under any of the produced zines. Though, important note here: the revenue of the event’s night selling will be kept by Void to pay for both the organization of the event and for the production and distribution of the winner zine. Before submitting to this call, make sure you agree with this terms. 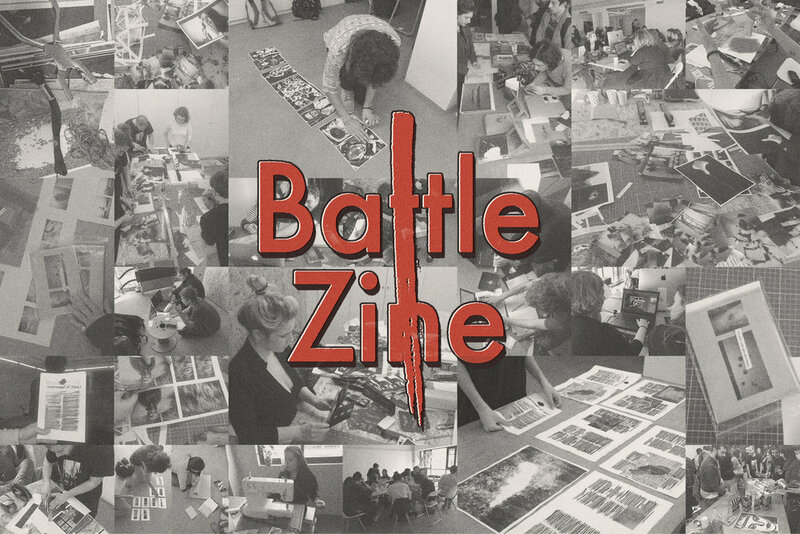 Battle Zine is close now for submissions. Subscribe to our newsletter to be informed of our next events. All participants must bring all necessary equipment they might find necessary to develop a zine. The event will be lead in English (in the case of non-Greek participants) and Greek. Subscribe to Void to make sure you will receive our news and updates.